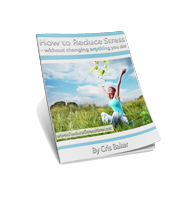 This dynamic and temptingly priced Special Report outlines the latest breakthrough in understanding stress, and explains why you become stressed. It details the cutting-edge process enabling you to eliminate stress arising in any situation. If you're stressed about anything, then your very modest investment in overcoming your stress will give you enormous returns, as well as drastically decrease your suffering. We once received a comment suggesting our products are rather expensive for US appetites. Yet once you realize what you get for your investment, you'll realize they are actually the bargain of the century - amazingly affordable. Can you afford not to overcome the unseen effects of your invalid beliefs, correct your mistaken thoughts, improve your context and dramatically increase your success? How much are the unseen effects of your self sabotage costing you today?